Various blister sealing machines, production and table top. 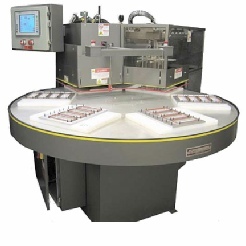 These blister packaging machines are both standard and custom, circular seal and contour seal, blister sealing machines are adaptable to your specific blister sealing machines requirements. 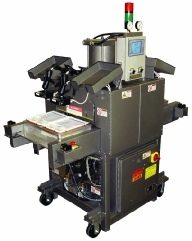 There are a variety of heat seal press platen sizes, as well as shuttle and rotary blister sealing machines that you can choose from. 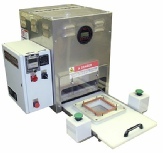 All the blister sealing machines have safety features build in such as low pressure safety descent with high pressure seal.